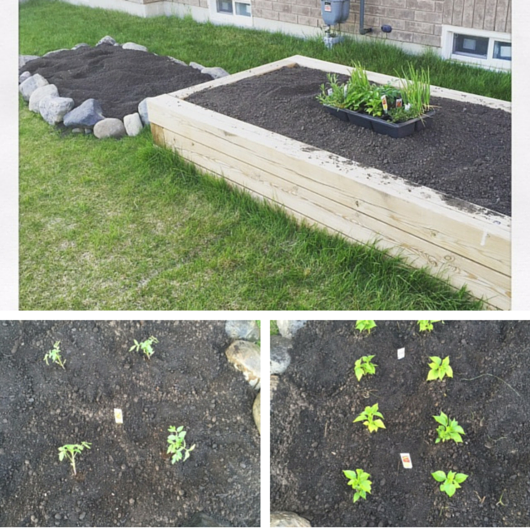 I realize that this is not your typical DIY post but I am just so darn proud of this little garden that I have grown all by myself! I have always loved the idea of having my own veggie garden. We do our best to live as green as possible but I also love the idea of saving a little money and growing the food that we eat! Now all that being said I should mention that I don’t exactly have a green thumb. I am actually pretty good at killing plants so I am glad that Shaun is quite the opposite. 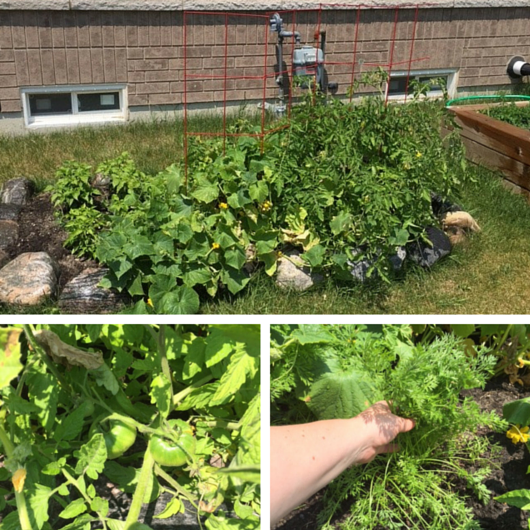 As this is our first year growing veggies we decided to grow the basics: tomatoes, cucumber, carrots, hot peppers and some herbs. I cannot wait to pick my own veggies and bring them straight to my table. Just check out my tomatoes and carrots! My peppers and cucumbers are flowering and it won't be long before I have fruit and veggies to pick! What are you growing in your veggie garden this year?